Innovative achievement, dedication to the marine industry and excellence in customer service were recognized during the Industry Breakfast at the International BoatBuilders&apos; Exhibition & Conference. Thirteen companies won Innovation Awards from the National Marine Manufacturers Association and Boating Writers International. The awards recognize products that best meet the following criteria: innovative distinction from other products currently being manufactured, benefit to the marine industry and/or the consumer, practicality, cost-effectiveness, and availability to the consumer within 60 days of the award. Sixty-seven products were entered - 44 percent more than in 2009. "Judges found a solid mix of affordable maintenance products for boaters and game-changing technology in two propulsion applications," says Alan Wendt, IBEX Innovation Awards committee chairman and editor of Marine CEO. "With the move to Louisville and the combination of IBEX and MAATS, we were expecting to see a lot of impressive entries. ... Participation exceeded our expectations." Other BWI members who served on the judging panel were Zuzana Prochazka, technical editor, Latitudes & Attitudes, and blogger for Boatermouth.com; Frank Lanier, marine surveyor and contributor to Practical Sailor and Southern Boating; Dave Mull, editor, Great Lakes Angler; Alan Jones, executive editor, Boating World magazine; Tom Tripp, freelancer, publisher and editor, OceanLines; and Chris Caswell, author and senior editor, Yachting magazine. 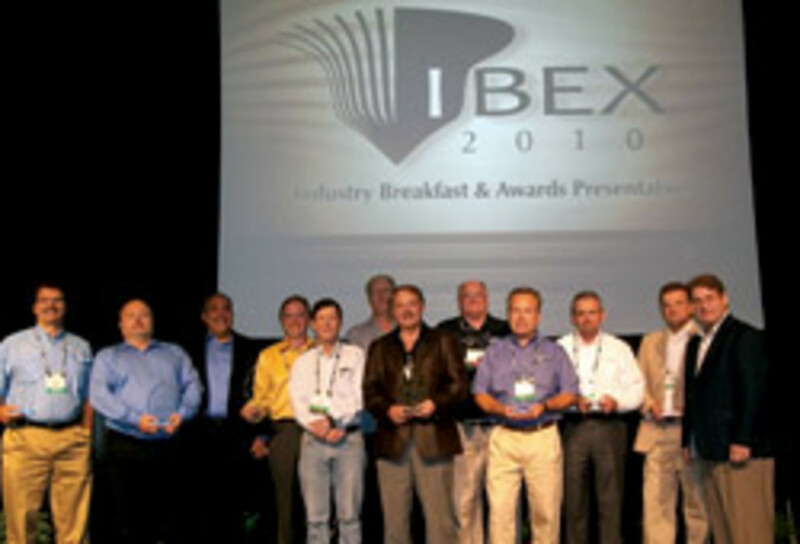 Other awards also were also handed out at IBEX. Catalina Yachts president Frank Butler won the Mel Barr Award, which honors an individual who has contributed to the improvement of the marine industry through personal involvement. The award was established in 1967 in memory of Barr, a founder and first president of the National Marine Representatives Association. The winner is chosen by vote of NMRA members, and the award is presented by Boating Industry magazine. "When I founded Catalina Yachts in 1970, my goal was not to become the largest sailboat builder in the United States," Butler says in a message on the company&apos;s website. "My goal was, and still is, to build good boats that are a good value for our customers. I believe Catalinas do well in a very competitive market because they are the result of listening carefully to our customers and dealers." Forty-four boat and engine manufacturers received Customer Satisfaction Index awards. The NMMA launched the CSI program in 2001 to provide boatbuilders and engine manufacturers a cost-effective tool to raise the bar on customer satisfaction. Since the program&apos;s inception, more than 600,000 surveys have been sent to new boat and engine owners. Award recipients achieved and maintained a customer satisfaction level of 90 percent or higher during the last year, based on information provided by more than 20,000 customers. There are 98 participating manufacturers.